When you are looking for a wine to enjoy on a regular basis without breaking the bank, there are several good options out there, that can be found at almost any wine store, Costco or better grocery store. So far, we’ve had a Sauvignon Blanc from New Zealand, a Malbec from Argentina, a Cabernet Sauvignon from Washington, and a California Zinfandel. To round out this list, I decided to go down under (and go just above my price limit!). If you’ve never heard of Mollydooker Wines, you’ve been missing out! Mollydooker is an Australian winery with a number of whimsical, flavorful, beautifully complex wines. Just check out their website-you’ll see what I mean! Their mostly Shiraz-based wines have names like “Two Left Feet”, “Gigglepot”, and their flagship wine, “Carnival of Love”, which was recently named the #2 wine in the world by Wine Spectator, and the #1 wine in Australia and New Zealand by Winestate. The price points are anywhere from $20-$100. 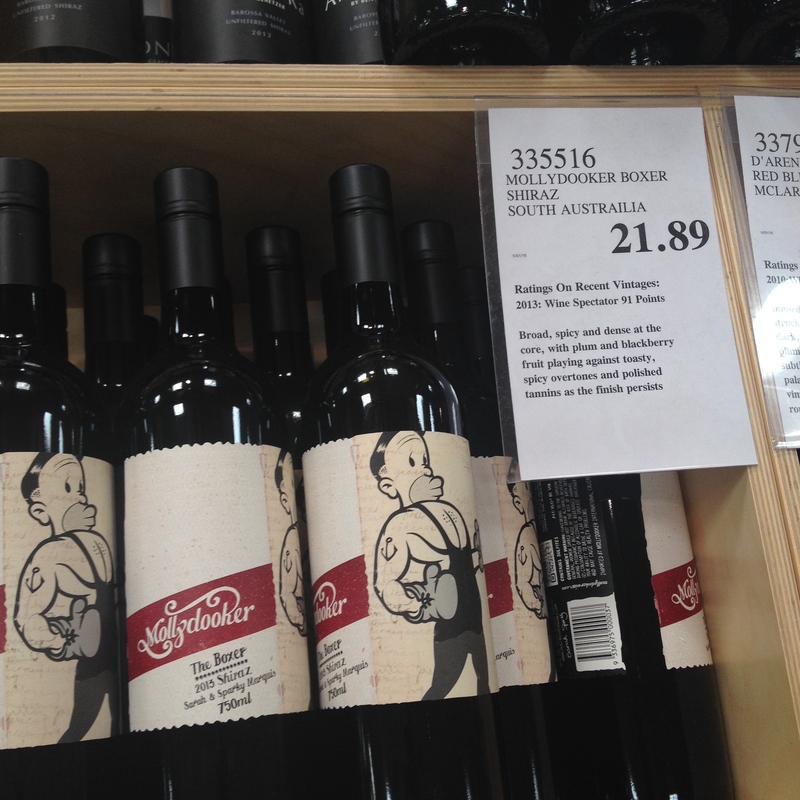 The Mollydooker wine that is easiest to find is The Boxer Shiraz. I have had many different vintages of The Boxer, and it is always really good. $21.89! And it’s worth every bit of that! If you find Two Left Feet, it’s at a similar price point, and is really complex and unusual-another great wine. At a little over $20, The Boxer is probably not something you could technically drink every day, unless your last name is Gates or Rockefeller, but it’s maybe a “once a week” selection, and one that is worth having on hand the next time you want something a little richer, a little more flavorful, with a bit more of a “wow factor”.